This program is taken entirely online. All you need is a computer, or smart device and access to the internet. Our website and courses are all programmed to be completely responsive to any size screen. The purchase of this program grants you ninety (90) days of unlimited access to all the materials. Exceptions must be requested in writing to [email protected] for consideration. Do I have to be an LPN or LVN to take the program? CNAs, diabetic education providers, and many caregivers without LPN/LVN licenses are welcome to attend. A Certificate of Completion is awarded at the end of the program upon submission of the Evaluation Sheet. We stress Scope of Practice in our programs — working within state regulations and provision of legal care giving. We assume all practitioners will maintain these boundaries. How many CE contact hours are awarded on finishing this program? 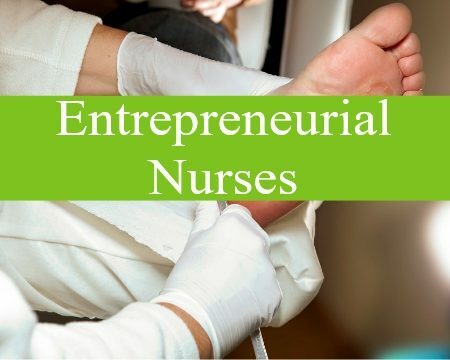 This continuing nursing education activity is approved by the California Board of Nursing, an accredited approver by the American Nurses Credentialing Center’s Commission, on Accreditation. Approval is for twenty-five (25) contact hours. This Provider is approved by the California Board of Registered Nursing, Provider Number CEP 15904. Your Certificate must be retained for four (4) years. How is the Clinical Practices Program designed? 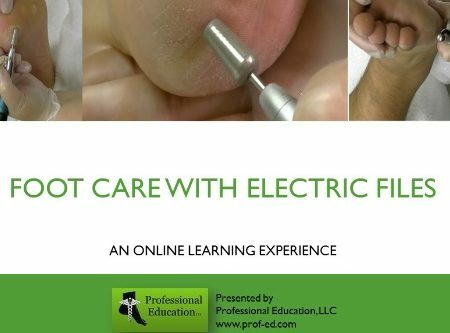 This 10-Module course is designed to provide didactic information and training on subjects such as Structure and Functions of the Foot, Disorders of the Structures of the Foot, Skin and Nail Conditions of the Foot, and others. The first Module is the Introduction and Rationale and provides very important information on how to take the program, be awarded the CEs, etc. What are the benefits for an LPN/LVN taking the Clinical Practices Program? 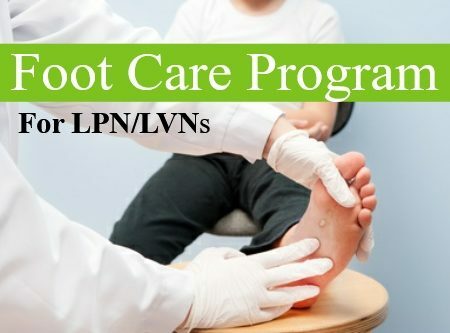 The presence of CEs in foot care on a resume verifies to an employer and to patients the LPN/LVN has increased knowledge, and cared enough about patients to learn these techniques. It is a benefit in competing for positions and can potentially influence wages. 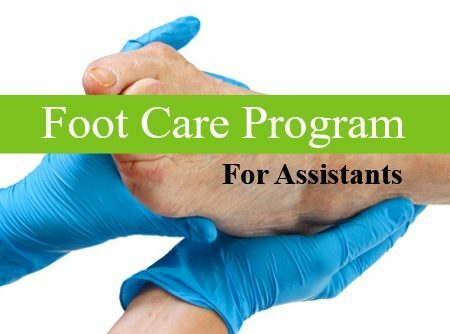 Also, knowledge of how to educate patients on the care of their feet, a focus topic in the training, is important in the care of chronically ill patients. Because of the dramatic increase in diabetes and other chronic illnesses, health care entities need and look for the LPN/LVN who have this information and may recognize specialty training by paying higher compensation. This program is $497 with no additional textbooks or tools required to attend. The tuition is paid directly through the website by adding the course to your cart, then completing the purchase process. You will be directed a form to fill out with all your personal profile information and then on to PayPal, where there is a payment plan available. Your courses will then automatically appear in the “My Courses” tab. Simply view the course, add it to your cart by clicking “Add to Cart” and complete the purchase process by clicking “Proceed to Checkout.” You will be granted immediate access – the website will send you an auto-gen password, but we recommend you follow the “Forgot your password” link on the Login screen to reset the password to something memorable. You must add “[email protected]” to your email contacts or your email program may filter out the necessary emails for navigating our site. Can I share this program with my co-workers? This program is copyrighted and your enrollment is good for only one student–just like a college course, only one person gets the credit. Sharing is not permitted. How long does it take to finish the LPN/LVN Clinical Practices Program? The average time for taking the program is 25-27 hours. The most efficient way of taking the program is to finish one topic per visit then go through it again a time or two to study the topics. The fastest way is to go in and stick to it for 4-5 long visits which shortens the total time spent. How do I re-enter the program after leaving each time? Click on “Login” to enter the site and be returned to the “My Courses” page. You can move to any course from there, if you wish. How long to I have to finish the program? The course materials will be available to you for 90 days after you have purchased them. Feel free to log in and review any topics you wish. Keep in mind, however that the CE hours can only be conferred one time per user. I’ve changed my mind…how do I get a refund? Since the programs are immediately accessible after purchase, Professional Education adheres to the usual Intellectual Property Refund Policy: No refund is available once the program is chosen and purchased. No exceptions. For that reason, it is important all purchasers to be fully certain of their decision before purchasing the Programs.